Students earn hospitality degrees and enter the workforce every year. Those men and women are responsible for keeping guests and travelers happy and comfortable, ensuring that a hospitality business runs on schedule and on budget and that employee turnover is low. Depending on the field, some workers also order new supplies, including food and drinks, for a company. 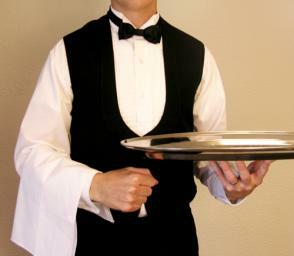 Though the hospitality industry continues changing with each passing year, those with a degree can work for parks and museums owned by the government, large hotel chains, event centers and conferences and restaurants and motels owned by private individuals. Students looking to earn hospitality degrees in Iowa often choose Iowa State University. This university is the largest public college in the state, and it ranks as one of the oldest as well. The Journal of Hospitality & Tourism Research conducted a study of all hospitality programs in the country and around the world and ranked the ISU program number 15 on its list of top 100 hospitality schools. Hospitality students appreciate the interactive learning experiences available through the school. All students spend time working in the field and working on campus to gain a better understanding of hospitality topics. The Hospitality Management program through Iowa State University has a long history of success. Former students work at four star restaurants, popular nightclubs, wedding venues, catering companies and hundreds of other locations across the country, and some students even found international work. The Joan Bice Underwood Tearoom located on campus is a popular attraction for locals. This small restaurant seats more than 100 guests, and students have the chance to work behind the scenes. They do everything from prepare and serve food to clean cooking stations and order supplies. The program accepts just 200 students every year, which keeps class sizes low and helps students form real working relationships with their professors. Designed as a four year program, students take specific classes each semester, including hospitality courses and general education classes. The school offers dozens of potential classes on human resource management, private club operations, lodging operations management and hospitality law. Iowa Central Community College opened as a junior college with one campus in Fort Dodge. Though that campus still remains the main branch of the school, the school later opened campuses in Storm Lake, Webster City and a second branch in Fort Dodge. As a community college, the school primarily offers Associate level degrees that students can use to gain course credits before transferring to a Bachelor degree program. The school also offers certification programs designed for those who need certification before working in a specific field or those currently working in the field who need more experience to move ahead. Unlike other hospitality programs, the Culinary Arts A.A.S. Degree program at Iowa Central Community College focuses on the skills necessary to work in restaurants, cafes and other food businesses. The Willow Ridge, Restaurant and Bar has a special partnership with the school that allows students to gain experience outside of the classroom. ICCC believes that classroom learning can teach students basic skills but that nothing beats the experience they gain as they use those skills in the field. The 67 credit hour long program requires a commitment of five semesters. Students six classes their first two semesters, a single credit hour class over the summer semester and seven classes during their last two semesters. Required courses include sanitation and food safety, food fundamentals, hospitality professionalism, beverage management and hospitality personnel management. Students also take two baking classes and labs that show them how to prepare cakes and other types of desserts. Established in 1966, Kirkwood Community College opened after several community members noticed the lack of educational opportunities for local students. As the area lacked any institutions of higher learning, students had to immediately find work after high school or attend classes away from home. While the college opened with only a handful of classes, it quickly expanded into a wide range of areas. KCC remains devoted to the idea of helping those in its surrounding areas today. The college offers students an affordable way to earn a college degree, and it offers a variety of financial aid programs to make education even more affordable. Entry-level positions let recent graduates gain a foothold in the hospitality industry, but a college degree can open more doors for graduates. The Hotel Management program at Kirkwood Community College hopes to help students gain employment as hotel managers, front desk supervisors and assistant supervisors. The Hotel at Kirkwood Center, which is conveniently located near the campus, offers internships and other programs for students. Those students work in the front desk and in other areas. They handle complaints from customers, see how managers budget for expenses and learn more about the daily operations of a major hotel. To give students more experience, the program requires that students complete an externship before graduation. They must work in another hotel or area of hospitality to earn credits towards that externship. KCC encourages students to apply to a program operated by Disney, which lets them earn credits while working at a Disney resort or park. At the turn of the 20th century, Iowa was home to only a few schools, and all of those schools were four year institutions. North Iowa Area Community College opened as the Mason City Junior College in 1918 and quickly became popular with students. It was the only school that offered students the chance to earn a degree or gain credits that they could transfer to another school. Some of the students enrolled in the school today still transfer later, but an even larger number of students seek employment after earning their degrees. In 2012, CNN Money ranked the college as one of the best values in the country. The Hospitality Management A.A.S. Degree is a two year program that culminates with students earning an Associate of Applied Science. Designed for students to complete in four short semesters, students take 15 credit hours of courses each semester, and most students follow a course path that they establish during their first semester on campus. The first term of the program involves courses in business and management, while the second semester introduces courses on accounting, marketing and hospitality principles. Students take their electives and general education courses during their last two semesters. North Iowa Area Community College encourages students to take other courses, including food safety, food preparation, controlling food costs, customer service, principles of advertising and principles of selling. After taking and passing a class on workplace professionalism, students can also enroll in a business internship to gain an additional one to three credit hours. Have you ever wondered what happens behind the scenes of your favorite hotel or restaurant? Earning your degree is a simple way to learn more about how those companies operate. Several schools award hospitality degrees in Iowa every year, and those programs let students complete their degrees on campus, online or through a combination of online courses and classes that meet on campus.